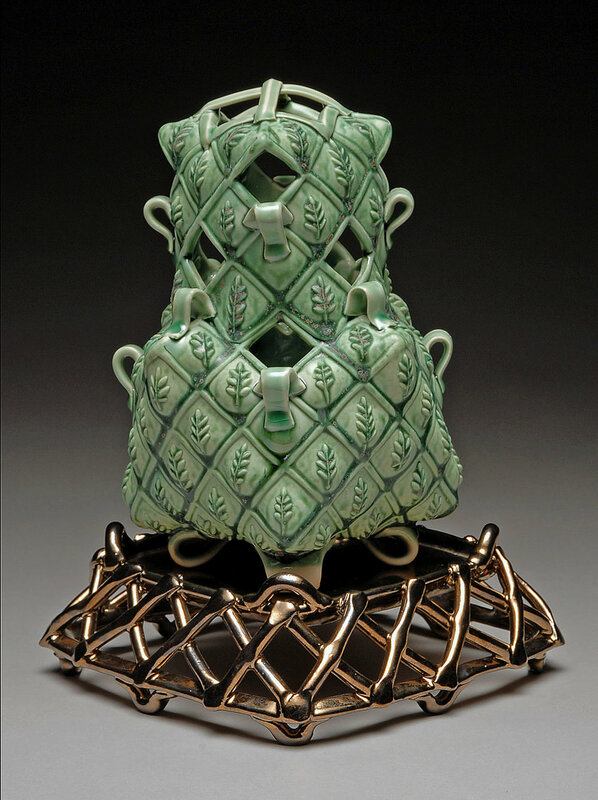 Margaret Bohls — Bumpyware - decorative yet functional pottery. Hand-built using highly textured, porcelain slabs. Bumpyware is a body of decorative yet functional pottery that I began making in 2006 and continue to develop and to exhibit. These pieces are hand built using porcelain slabs that are highly textured creating a structured surface from which the form language evolves. 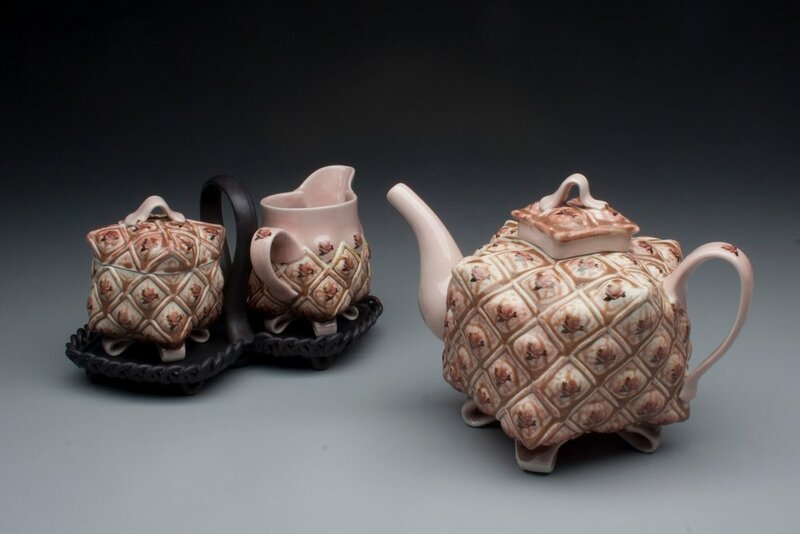 These pieces have complex glaze surfaces that are designed to respond to and enhance their exaggerated surface texture. Many of these pieces are placed in and on earthenware, and sometimes stoneware, trays, trivets and caddies. The visual repetition of surface and form in this work reflects my interest in European porcelain of the seventeenth and eighteenth centuries, most of which was made in large, elaborate sets of ware for specific domestic rituals, like the serving of tea or dinner, or the arrangement and display of flowers.